Blue is a very peaceful and relaxing color, which is the perfect choice of color for this pendant. With the white gold as the basic material of the pendant, you get the first quality of an accessory. 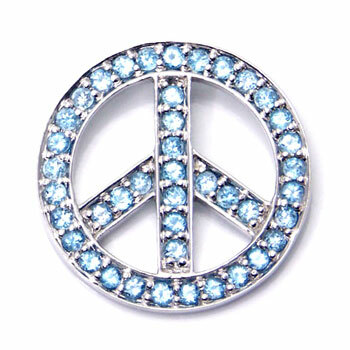 Furthermore, to get you the sparkling look, blue topaz stones are used to decorate this beautiful symbol. With the white gold rolo necklace that comes with it, you will be ready to go in no time.